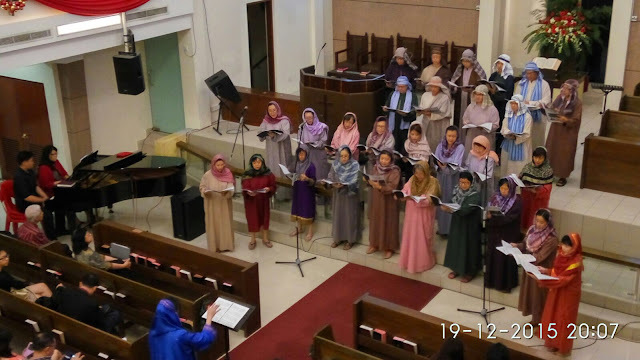 Grace Notes combined with the Kuala Lumpur Chinese Chinese Methodist Cantonese Church Choir presented a Christmas Cantata today: Come to the Manger, by Joe E. Parks. The choir have been practicing for about 4 months now and I must say, it was quite well done - to the credit of the conductor and Grace Notes's director Joanna Lau. The cantata carries a message that the angels have invited you to come to the manger and even if the inn had no room for him, do you have room for him in your life?